· Families drive references: Married women with families drive references in the party supplies category. More than four out of five references are made by women (83%), with higher than average usage among those who are married and have more than three total family members. · Consumers make contact after search: 90.5% of consumers contact a business after referencing the heading. While 67% of consumers do so by phone, another 41% make an in-person visit to the store, which is significantly higher than the all-headings average of 23%. · Consumers purchase after search: 64.3% of consumers who reference the heading make a purchase, averaging $109 per visit. Of those consumers, 59.3% are new customers to the store. Iconosys, Inc., the Laguna Hills, CA developer of safety enhancing mobile apps for the Smartphone that help curb Distracted Driving, (Texting While Driving/Mobile Phone Talking While Driving) and Cyberbullying, among other dangerous societal problems, has created TrickorTracker™ so that parents can safely monitor their kids via their Smartphone, while their children are out and about gathering treats. TrickorTracker™ is free of charge for Halloween (it does expire afterwards), or can be purchased for $9.99 thereafter for full lifetime coverage of family members. 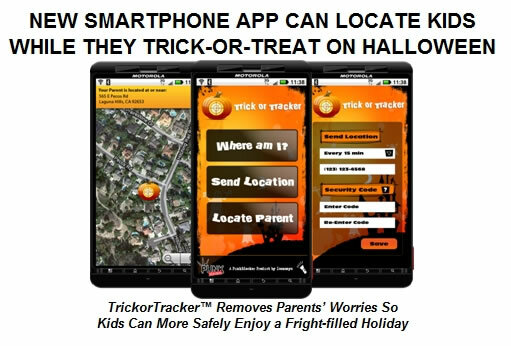 * TrickorTracker™ can locate a trick-or-treater with the touch of a single button on the user’s Smartphone for ultimate convenience. * The app installs easily on both the parent’s phone and the child’s own phone (note– if the child is too young to use a Smartphone, Iconosys believes that they are probably too young to trick-or-treat without being accompanied by a parent or guardian in any event). * The TrickorTracker™ is available in English as well as Spanish. * Messages can be sent to the child’s phone using a special code that is picked up and responded to via pre-set coordinates. * The child’s phone will have special “Where Am I?” and “Where’s My Parent?” buttons, and the parent’s phone will have a corresponding “Where’s My Child?” button. * Parents can program their phone to receive messages at regular intervals –or more often if necessary — revealing exactly where their child is on an hourly basis. * Only the child’s phone must be an Android OS phone. For the parent, any Google maps-loaded phone (including iPhone, Blackberry, or Windows Phone 7) will work using a simple manual process. If both parent and child have Android phones, 2-way parent-child tethering is available, so the child knows where the parent is. * The app also has a very handy flashlight feature that illuminates the phone screen, casting a ray of light on a child’s path and allowing them to travel more safely in the dark or into their treat bag to sneak a treat along their journey. 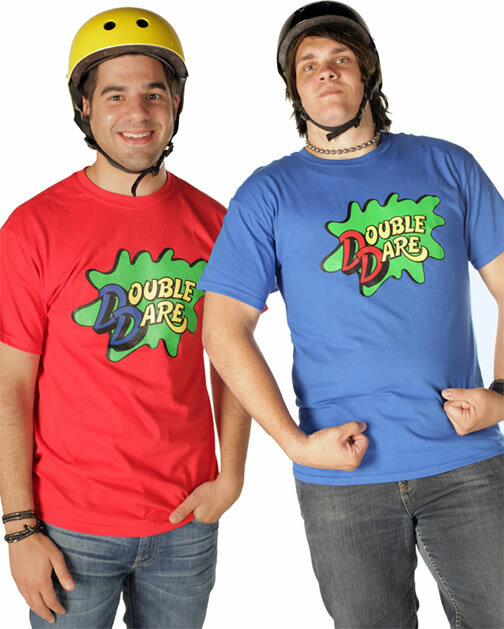 This is available in white and five glow-stick colors (orange, pink, blue, red, and green). “The bottom line is that we have designed this technology to promote safety and security for the children who are out there celebrating what should be a fun and happy Halloween experience,” added Irving.